Michell Bearings vertical bearings (AV, LV, V, and MV Series) have been designed and developed as fully self-contained, general purpose, modular assemblies to meet customer’s requirements. 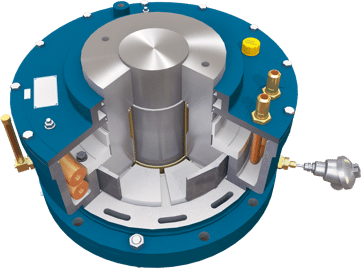 For special applications and where the preference is for the bearing internals to be positioned within the casing of the machine, we can offer bespoke bearing solutions equivalent to our standard vertical ranges and beyond, including special self-contained bearing designs. 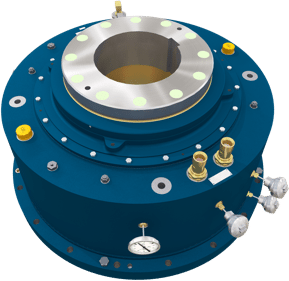 The Michell Large Vertical (LV) Series is a modular range of high capacity vertical shaft thrust and guide bearings covering a shaft diameter range of 300-600mm across 4 frame sizes. 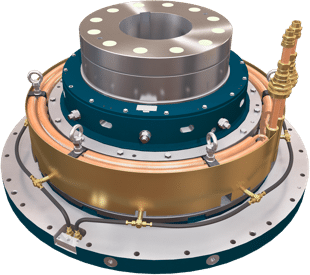 The Michell Advanced Vertical (AV) Series is a modular range of vertical thrust and guide bearings covering a shaft range of 68-411mm across 9 frame sizes. 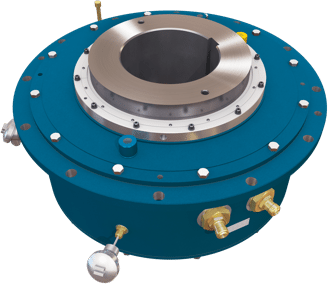 Thrust and guide bearings for shaft diameters up to 411mm and axial load capacity up to 738Kn.